The Fadama III Additional Financing (Fadama III-AF) agricultural programme of the World Bank being implemented for farmers in Kogi State to boost cassava cultivation and processing has started yielding results. Cassava farmers, who spoke when the 5th World Bank/Federal Government Mission on Fadama III-AF, said the support and training they received had enabled them to harvest better yields. The chairman of Ojapata Fadama III-AF Cassava clusters, Mr Patrick Attah, who spoke on behalf of other farmers, commended the initiative, noting that many women and youth have now developed interest in cassava farming and processing. 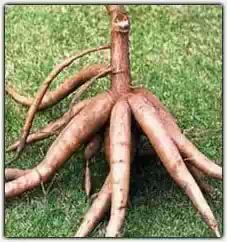 “We want to bring to your notice that the market for cassava is not a problem as we have an established relationship with buyers of the products in the east, south and northern parts of the country,” he said. He commended the World Bank for supporting cassava farmers in his clusters to clear over 60 hectares of land to boost cassava production, adding that cassava farmers in the community will no longer know poverty with such initiative. Leader of the 5th World Bank/Federal Government Mission to Kogi on Fadama III (AF), Dr Salau Sheu, said the initiative to move farmers away from subsistence to business-oriented agriculture was yielding results. Speaking at the end of its three-day visit to project sites across the state, the team leader expressed satisfaction with the implementation of the World Bank supported projects with special focus on cassava production. He said the objective of the project was to use the market to drive the value chain in effecting the expected paradigm shift from subsistence to market-oriented farming with farmers approaching agriculture from a business perspective.